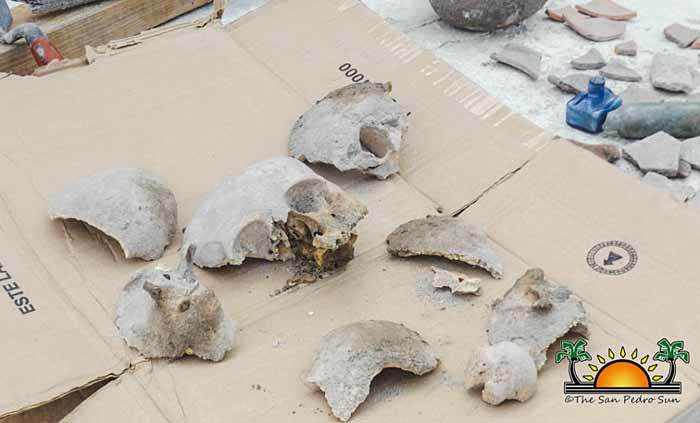 After weeks of monitoring and investigating the findings of what are believed to be human remains of the Maya prehistoric era at a construction site in downtown San Pedro, personnel from the National Institute of Culture and History (NICH) concluded their work on Tuesday, December 19th. The discovery of pieces of skull and fragments of bones along with pottery-shard artefacts let to the temporary stop of work at the construction site. However, construction will now resume while the team at NICH works on a report regarding the remains and artefacts. 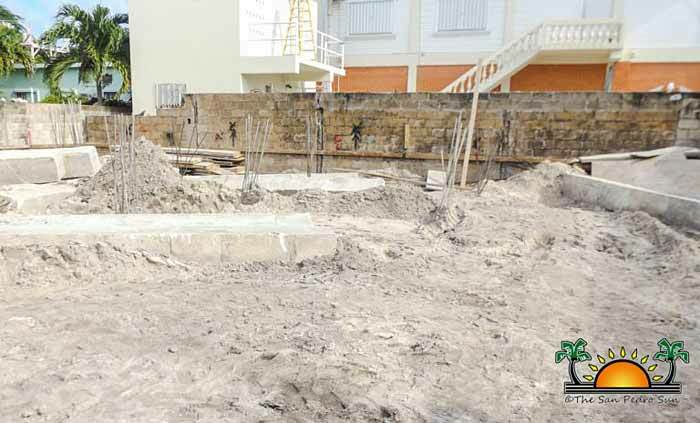 Josue Ramos, one of the Archaeologists with NICH told The Sun that the owner of the construction site is now free to continue with their building project after no more remains were found. “According to their building plans they are not to do any more digging in the area,” said Ramos. “After the first discovery, which included parts of a skull, there were no other major findings. But if when they resume works on the site they happen to make another discovery, we will be back.” Ramos stated that while the different prehistoric and historic materials found at the site will be carefully studied, they will continue to be vigilant on the construction site.